Russia's hybrid military forces attacked Ukrainian army positions in Donbas 36 times in the past 24 hours, according to the press service of the Anti-Terrorist Operation (ATO) Headquarters. The situation was most tense in the Donetsk sector. Here, the militants opened fire from small arms and heavy machine guns four times near the village of Zaitseve, as well as twice near the village of Pisky. In addition, grenade launchers were used by the occupiers in the Avdiyivka industrial zone, near the village of Kamianka and Butivka coal mine. Read alsoMedia report updated death toll in DonbasIn the Mariupol sector, after 18:00 Kyiv time, Russian occupation forces continued fire provocations near the village of Vodiane. 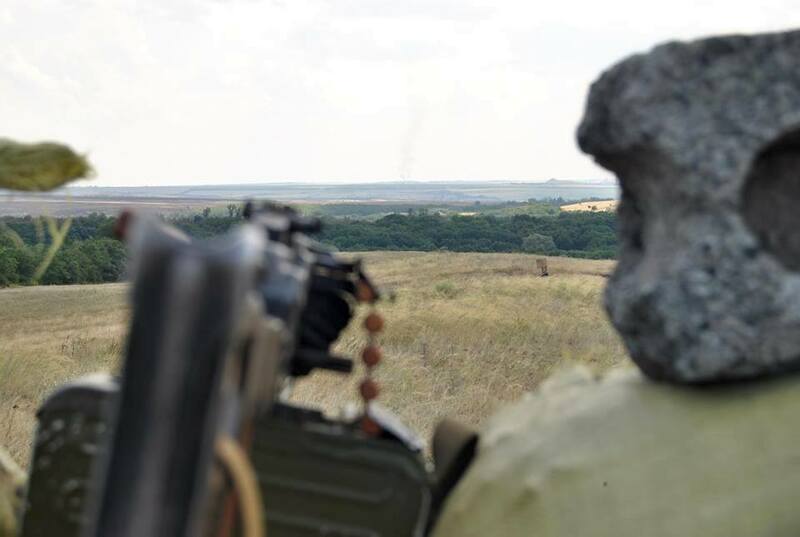 The Ukrainian positions near the villages of Lebedynske and Shyrokyne and the town of Maryinka came under fire from grenade launchers. Moreover, the invaders fired heavy machine guns three times on the Ukrainian fortified positions near the village of Talakivka. In the Luhansk sector, the militants opened fire from various weapons near the villages of Krymske, Stanytsia Luhanska and Malynove. No troops were killed or wounded in action over the past day, the ATO HQ said.